Francesco Molinari has promised to learn from the mistakes he made during Sunday's final 18 holes of the Masters, which was eventually won by Tiger Woods. The Italian won last year's Open Championship at Carnoustie before playing a key role in Europe's Ryder Cup success. He appeared to be on course for a second major success when he led by two strokes heading into the final round at Augusta. Molinari was still two shots ahead with seven holes to play but a five at the par-three 12th and another double-bogey on the 15th ended his hopes and he eventually had to settle for a share of fifth place. 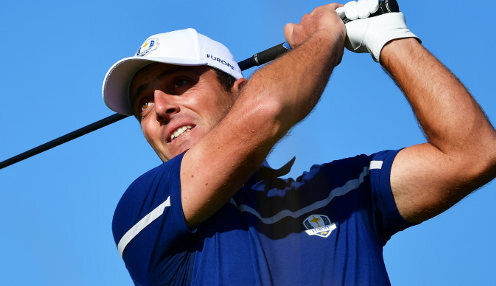 "The energy out there was brilliant with Tiger being there," said Molinari. "I'm proud of the way I stayed calm, even after making mistakes. I gave it my best so I am proud of that. "I learnt a lot from Sunday, from the whole week. Next year it won't be a course where I have never played well before, I'll have a few good rounds under my belt. "I think on the back nine there were just a couple of instances of not being aggressive enough and I lost focus a little bit but it's a long week and it's not easy to hit every shot 100 per cent." Molinari is 16/1 to win The Open again this year, while Woods can be backed at 8/1, Rory McIlroy at 9/1 and Justin Rose at 14/1.